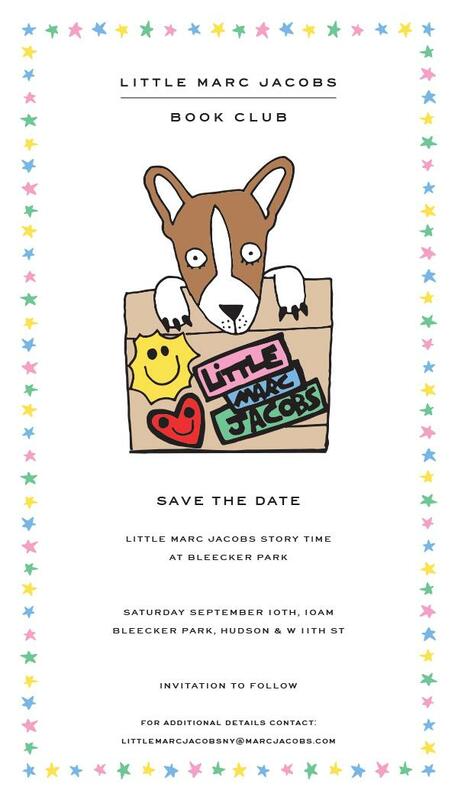 *** LITTLE MARC JACOBS BOOK READING IN THE PARK! We are SO excited to announce a NEW event with LMJ ON 10th September at 10am. We encourage you to visit the store - located on Bank Street and W4th St. Marc Jacobs has been a big supporter and financial contributor to Friends of Bleecker Playground. We are grateful for their ongoing support and friendship. Please join us for a ton of fun and games. All welcome. See you in the Park!